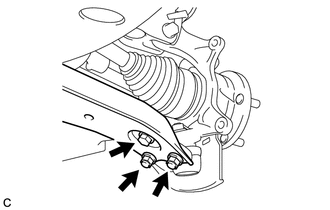 (a) Remove the bolt and 2 nuts, and separate the front lower suspension arm from the front lower ball joint. 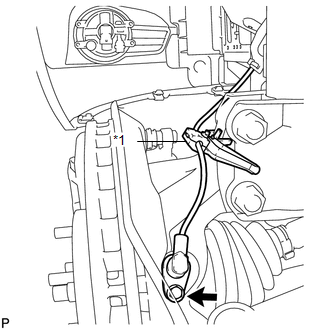 If it is difficult to separate, tap the end of the front drive shaft assembly using a brass bar and a hammer. 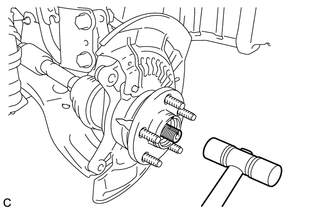 Be careful not to damage the drive shaft boot and speed sensor rotor. (a) Using a screwdriver with its tip wrapped with vinyl tape, remove the front No. 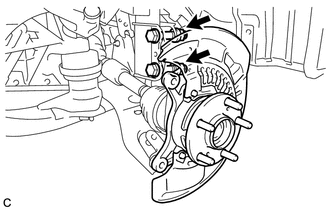 1 wheel bearing dust deflector. 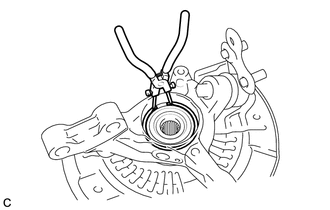 Be careful not to damage the steering knuckle. 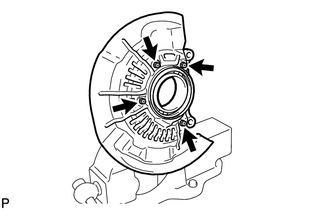 (a) Using snap ring pliers, remove the front axle hub hole snap ring. 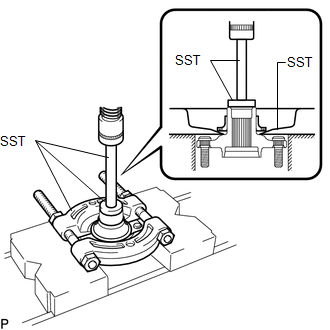 (a) Hold the front axle assembly between aluminum plates in a vise. 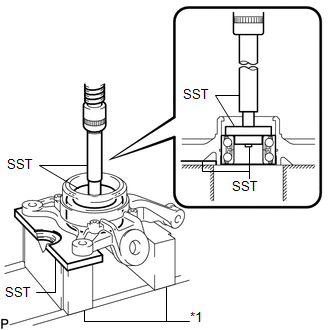 (b) Using SST, remove the front axle hub sub-assembly. 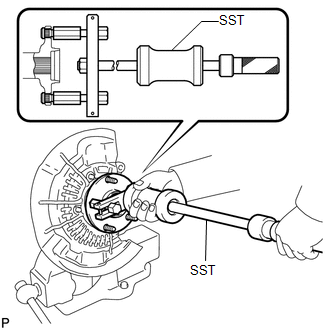 (c) Using SST and a press, remove the bearing inner race (outside) from the front axle hub sub-assembly. 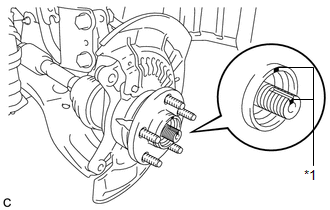 Be careful not to drop the front axle hub sub-assembly. 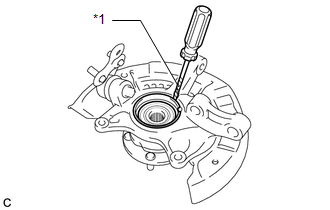 (a) Remove the 4 bolts and front disc brake dust cover from the steering knuckle.